Imagining Medieval English is concerned with how we think about language, and simply through the process of thinking about it, give substance to an array of phenomena, including grammar, usage, variation, change, regional dialects, sociolects, registers, periodization, and even language itself. Leading scholars in the field explore conventional conceptualizations of medieval English, and consider possible alternatives and their implications for cultural as well as linguistic history. They explore not only the language's structural traits, but also the sociolinguistic and theoretical expectations that frame them and make them real. 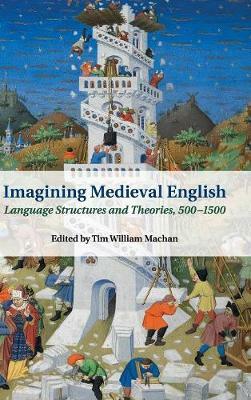 Spanning the period from 500 to 1500, and drawing on a wide range of examples, the chapters discuss topics such as medieval multilingualism, colloquial medieval English, standard and regional varieties, and the post-medieval reception of Old and Middle English. Together, they argue that what medieval English is, depends, in part, on who's looking at it, how, when and why.